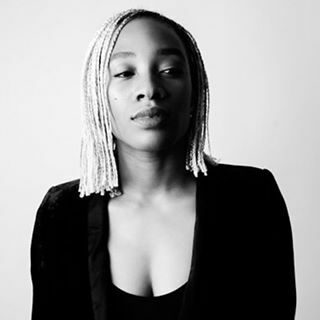 Former Ateliers-participant Karimah Ashadu is one of the ten nominated artists for the Han Nefkens Foundation-Arco Madrid Video Art Production Award 2019. This award aims to be a tool for increasing contemporary artistic production in the video art field and is directed at emerging international artists. The Han Nefkens Foundation is a private non-profit organization that was set up in Barcelona in 2009 by Dutch writer and patron, Han Nefkens. It aims to promote art and the artistic process and in turn, connect people through art. The Award is organised in collaboration with art fair ARCO and art center Matadero, Madrid. The Award 2019 involves the production of a video art work. The winning artists will be asked to realize a new production drawn on the symbolic title of the work of Félix-González Torres, ‘Perfect Lovers’. More than a homage to the artist, it is a continuation of the reflection on the vital subjects of love, life and time. The winning artist will receive €15,000 for the production of a new work. The new work will be presented at Matadero Madrid in February 2020, coinciding with Arco Madrid 2020. Nominated artists are scouted by ten internationally recognized art critics and curators.